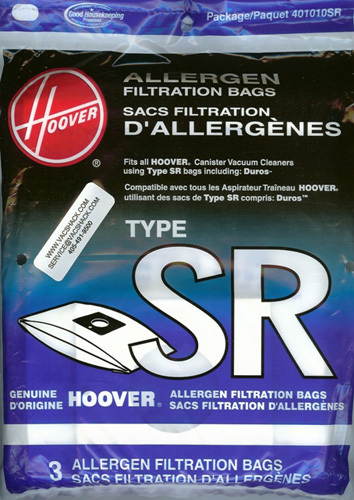 Fits all Hoover Canister Vacuum Cleaners Using Type SR Bags, including Duros. Traps 99. 98% of ragweed and common grass Pollens. Filters a wide range of airborne particles including many pollens, cat dander, spores and other allergens. Ideal for many with allergic or dust related discomforts.